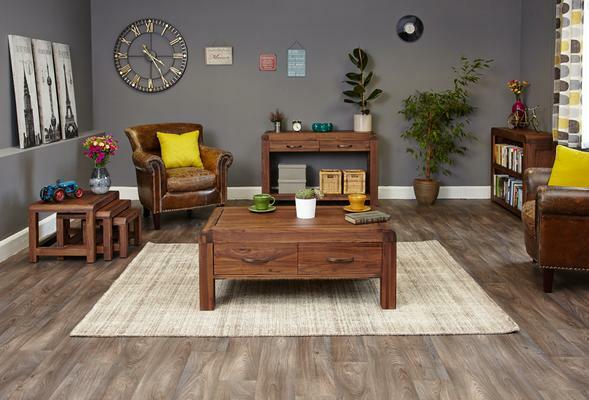 Register for a first order discount to buy this for just £398.05, saving £20.95. 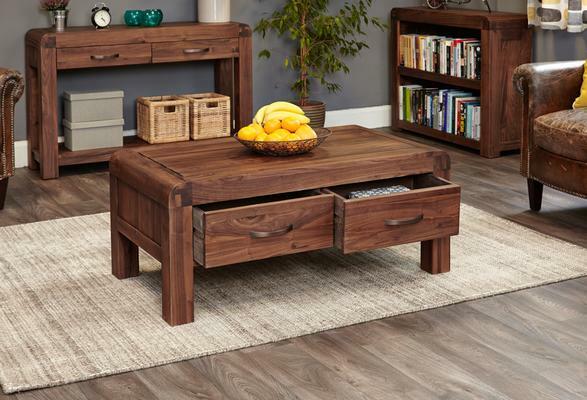 The Epitomy of ethical modern design the Shiro Walnut 4 drawer coffee table from Baumhaus will add a touch of contemporary elegance to any interior. 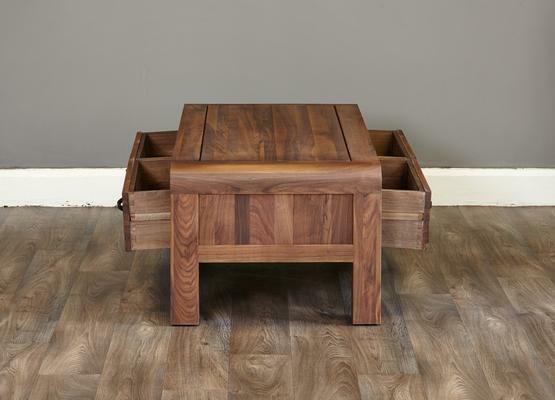 Designed to last a lifetime this occasional piece is crafted from the highest grade of sustainable solid Walnut and exhibits exceptional attention to detail thanks to its fully dovetailed drawer joints, stylish bronze handles and tongue and groove backs. 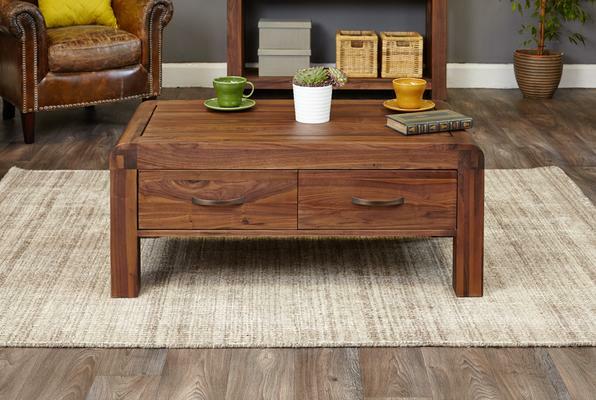 Combine the high build specification with the dense grain of the solid Walnut and the beautiful yet resilient satin lacquer finish and its easy to see why the Shiro Walnut 4 drawer coffee table simply exudes quality and style. 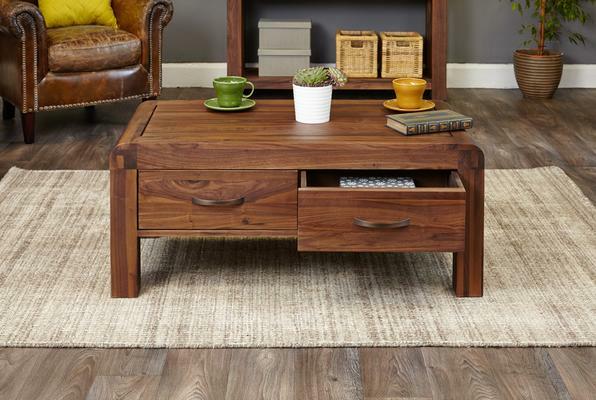 Ideal as a centrepiece for the modern interior this coffee table also provides handy storage thanks to its drawers which each measure H15cm * W 42cm * D25cm.